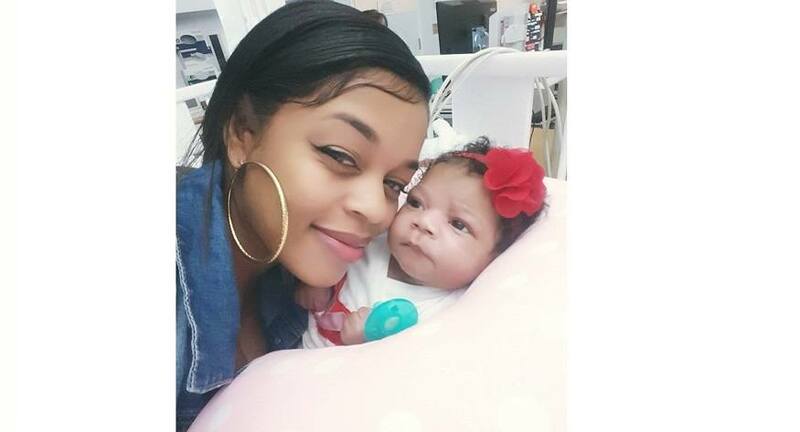 It is hard to imagine a mother hearing more difficult words than those Danielle Hines from Riverside, California heard after her ultrasound at 6 1/2 months of pregnancy. Doctors told her that her new baby would be born with a severe heart defect, and they advised her to abort her baby. She refused. There was a lot of love in her heart, and she was determined to meet the challenge, giving everything that she could to help her baby. After all of this, Child Protective Services swooped in and seized her baby before she was even two months old. In Danielle's words: "CPS removed her from our beautiful home because I have too many children and were fearful I could not care for her due to Hayden having Hypoplastic left heart syndrome." Though Danielle was able to regain physical custody, she was told that the state retained medical rights over Hayden. Now, Hayden is gone, and her mother is left asking, "Why?" She truly believes that: "If CPS hadn't taken my daughter from me, she would still be alive." She tells Health Impact News that, had they not taken her medical rights away from her, she could have researched medications and procedures and had a voice in decisions that were made. As it was, there appear to have been several medical missteps that could have been avoided, and Hayden might still be alive. The prognosis for babies with Hypoplastic left heart syndrome is a 70% chance of survival into adulthood. Hayden only lived 4 months, and Danielle believes they were using her baby as a medical guinea pig. this is so outrageous. For the same doctors to demand the abortion and somehow they are better equipped to make decisions on how to sustain her life ?! Vaccines on a compromised child no less? I'm sickened by this. Not to mention how dare CPS investigate her kids without her knowledge and then take her child without ANY proof of an issue?! I'm horrified by this story. I have been following medical-kidnapping stories for two years, and Hayden's is one of the most poignant and frightening I have read to date: although her medical conditions may not have been ultimately compatible with a longer life, decisions regarding her treatment and care should have been YOURS to make in conjunction with medical providers who honored your decisions, certainly not by providers who disrespected you, and most definitely not by CPS. Even though nothing can bring Hayden back to your family, I hope whatever actions you take in her memory will eventually help you heal from her medical kidnapping and potentially avoidable death. Erika Kate's story is included in The Surgeons, a nonfiction book published in the late 2000s about cardiac surgeons at New York's Columbia University Medical Center. From this book, I know that her father was a nurse anesthetist. For this reason, we may be tempted to believe the EKHA is unreceptive to the idea of medical kidnapping. However, all healthcare providers should be concerned about medical kidnapping, since it affects the public's trust of institutions where they work, and indirectly their own reputations. Also, I know there are at least some healthcare providers who still believe in medical ethics. Hope may be "the thing with feathers," but grief feels like a helpless, flightless baby bird. As you mourn, may Hayden lend you her wings whenever you need them. . .
OMG Damn I am reading your story and crying. You should sue sue sue them!!!!!!! They planed to kill your daughter all along. How the heck they 'knew' from the start you should abort when you were just a mere 5 weeks pregnant? In order to use the secure Chat feature, readers will need to create and register a new account (and confirm it via email), and then "Friend" each other. Our Secure Chat is a great way for other registered users to share resources and get to know each other. Registered users can also create and administrate their own Private Groups. From the Home page, click on a Community (Ex: Medical Kidnap Community or Vaccine Impact Community), and the click on the "Groups" tab. Words cannot express the sadness I feel right now for your loss. Hayden was a beautiful baby and you was and still are the best mummy to your children. I may not know you personally, but pictures, even videos, speaks volumes as to the type of mother you are and the love you have for your God given babies. If I could just hug you and lay your head on my shoulder and let you purge your grief, I would. I would do anything to help you heal...But you just take your time...one day at a time..Build your strength and FIGHT for your baby and her memory...Keep that fight going to continue to be the best mummy to your remaining children. I will pray for your daily strength...and wish you well for what's to come...I know you will do great things. And as for Hayden, she's no longer suffering; she's got a brand new heart; she's your guiding light and your strength now; and she's up there with our heavenly father, saving a spot for you and her siblings..
As I was looking over your story again today, I just want to reiterate for you that you most definitely did the right thing by giving your baby life. I know you know that. But, there are a lot of evil people out there who don't believe that. That doctor was sinister in what he said to you when Hayden was in your womb. Thank you for choosing life for your beautiful baby girl! your story had me in tears...such a beautiful baby and such a loving mother....Hayden couldn't have had a better mommy. You fought for her from beginning to end. You lived a lifetime with your daughter in only a few short months. I pray God brings justice for you and your family. You will see Hayden again, but, in the meantime, give all the love you have for her to your children. If there is anyone in KY reading this story and you want the abuses by CPS to stop, please contact DeWayne Westmoreland at dwestmo@kyyouth.org Give him your phone number in the email and tell him that the KY Cabinet for Health and Family services is abusing, or has abused, if you have been reunified, your children. Also, please go to Groups at the top of the page and join the KY Bluegrassroots Group. Nothing about this story adds up. I think it's all a lie. Why if the baby had a feeding tube and that was the only way to feed her did the foster father have a bottle of 'spoiled milk'. The numbers don't make sense and neither does anything else. If it's true it'd be accompanied by actual legal and medical records. This is a classic internet scam. My prayers are to Hayden's mommy and brothers and sisters how dare them say you weren't able to take care of your child and give her to foster parents who had 5 and then what they did...... WOW WHAT THIS WORLD COMING TOO!!!!!!! There are no words that can express this sorrow that I have for you. She is BEAUTIFUL! It is not right. She needed her mother. May God guide you and be with you during this difficult time. I am so sorry for the loss of your precious little girl. She was so beautiful, and so are you. In looking for an attorney to seek justice for Hayden, and your family, go to http://clsnet.org. It is Christian Legal Society and they have a list of lawyers by state that offer their services for people who can not afford legal representation. These evil monsters need to be exposed.